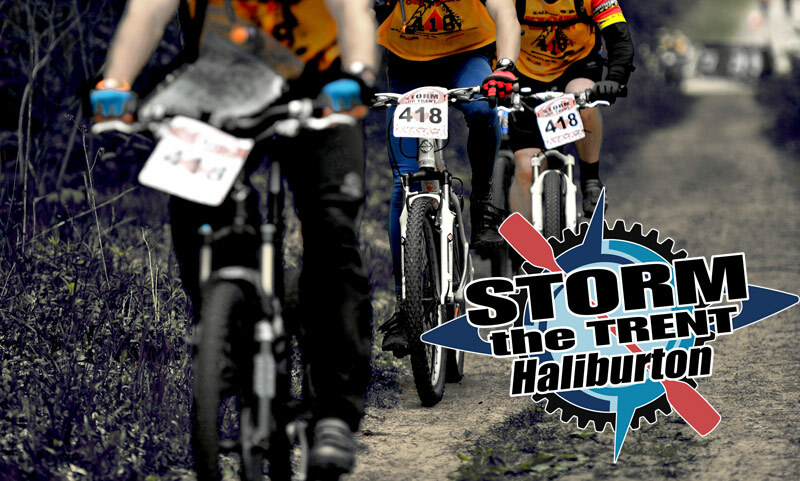 Less than two months until the return of the 'Haliburton edition' of Storm the Trent! With all-new racecourse designs, a new finish site, and some fantastic new terrain to explore, there's lots to look forward to on May 25-26. We can't wait to get back up there in the coming weeks for some final course checks. Come on Spring! This is the first of two updates we'll be sending to registered participants prior to Race Day. We'll send out another in early May, when we'll report back with notes on racecourse conditions and a few other final tidbits. Please make certain to forward this along to your teammates if their email information wasn't included in your team registration. First-time Storm'er? If you've been thinking about your final preparation plans for the coming weeks, have a look at our latest article on pre-race training! Racer Info Packages - Mandatory Reading! On-site canoe rentals are now fully booked for the 'Trek' and 'Trek Elite' events, with only a few remaining for the Sunday 'Hike' course. If you are in need of a canoe or kayak, the racer information packages linked above also provide a complete directory of 'self-serve' options within a 3-hour radius of the race site. In case you were wondering, yes - Algonquin Outfitters in Dwight is our canoe rental provider. Unfortunately, they will not be able to transport any more than the 100 canoes they are already bringing to the race. We kindly ask that you do not contact them , as they will not be able to assist with additional canoe rentals. While volunteer shifts for the Sunday 'Hike' course have all been filled, we still are have a variety of options still available on the Saturday. If you have friends or family coming to watch, why not take advantage of the $25 credit/rebate offered for volunteer referrals? 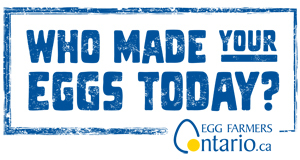 Please note however that volunteers must be over the age of 13, and willing to commit to a minimum 5-hour shift. Whether you are new to the sport of adventure racing or just looking to improve your paddle technique and efficiencies, we are very excited to announce an upcoming paddle clinic taught by Canadian Olympian and Gold Medalist Adam van Koeverden. 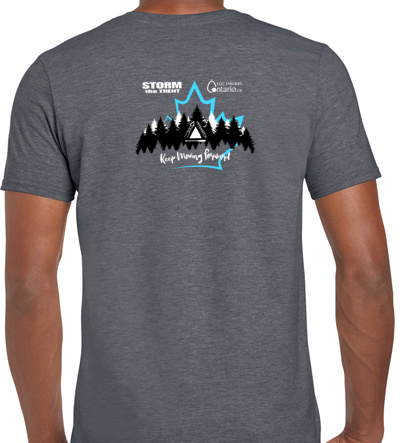 The clinic will be hosted at the Burloak Canoe Club in Oakville on Saturday April 27th. The plan will be to start with an advanced course beginning at around 8:00am, followed by a beginner course. Around this time is typically when we start to receive inquiries regarding teammates that have gone MIA since the point of registration. While refunds are not offered , team rosters can always be switched up to accommodate teammates who are unable to race. If you need to make a substitution on your team, simply contact us at info@stormevents.ca and we will make the necessary changes for you. 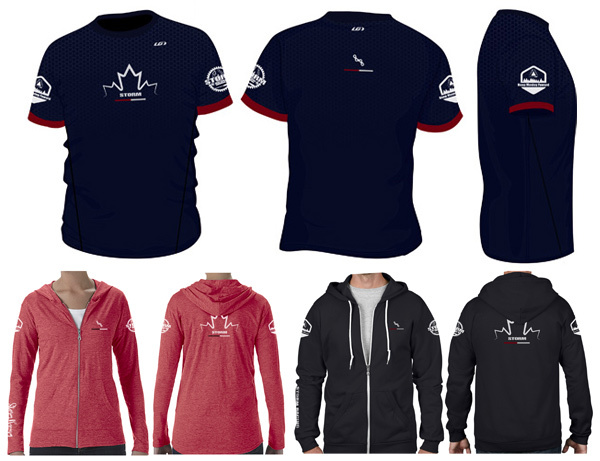 If you regretted not ordering from our 2019 selection of long and short-sleeved swag options at the point of registration, it is still possible to get your hands on them! Simply click here , and so long as you enter your name and the event you are competing in, we will be able to match your order to you or your team's registration record. As always, please feel free to contact us anytime if you have any questions. Looking forward to seeing you in May!